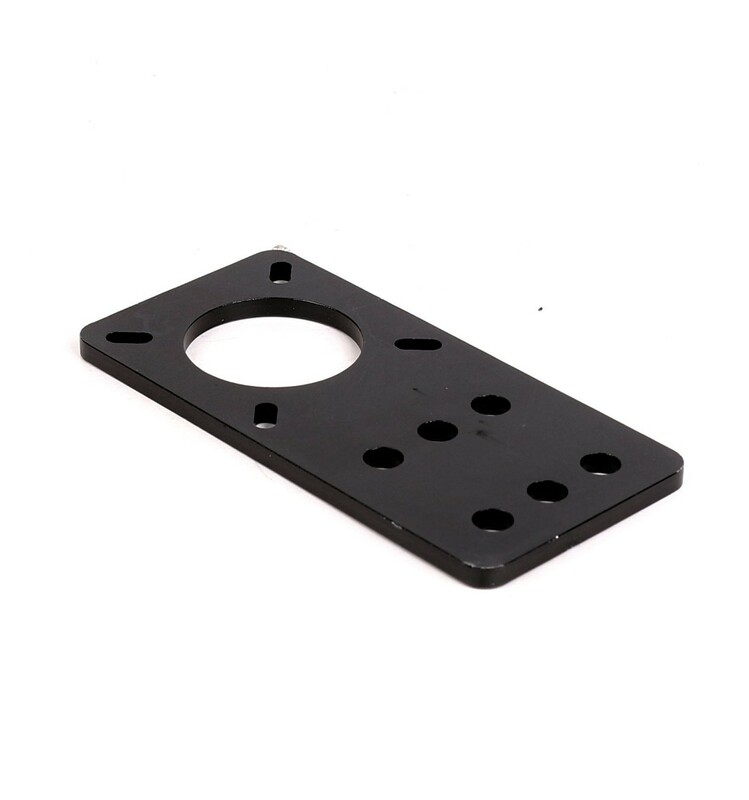 The Motor Mount Plate for NEMA 17 is a black anodised 6063-T6 Aluminium plate designed to be mounted on T-slot, V-slot and MakerSlide Aluminium Modular Extrusions for DIY projects. It fits classic NEMA 17 and NEMA 14 Stepper Motors, and can be mounted almost anywhere along the extrusions to accommodate your needs as a DIY Maker. 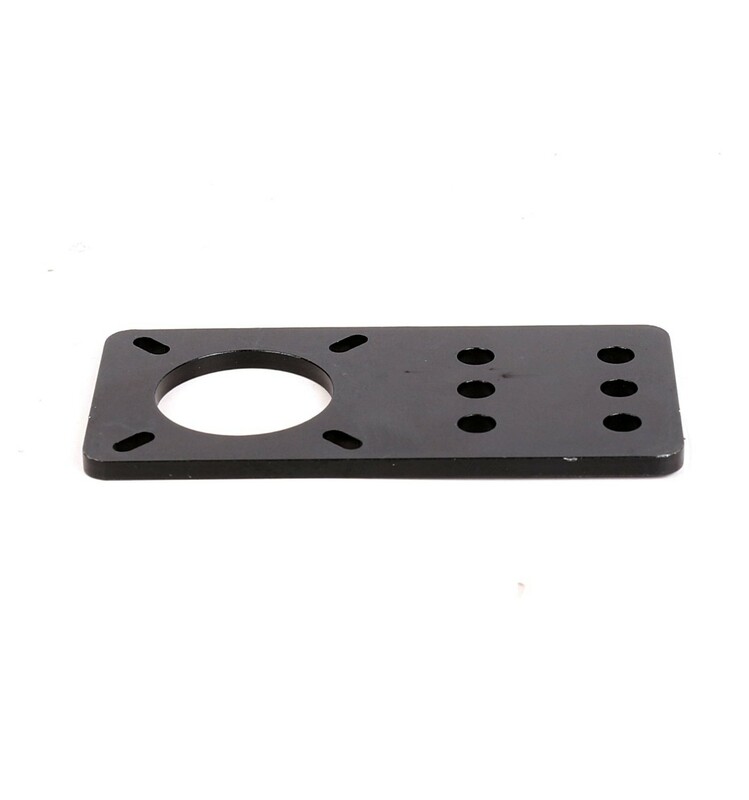 The plate features the standard mounting holes for the motors, as well as six symmetrical holes for the extrusion, which can be used in a variety of ways to fit the plate onto the ends, sides or even top of extrusions. This allows you to install a motor in almost any orientation, which can then be equipped with a belt and pulley system to move parts and components along the rails. 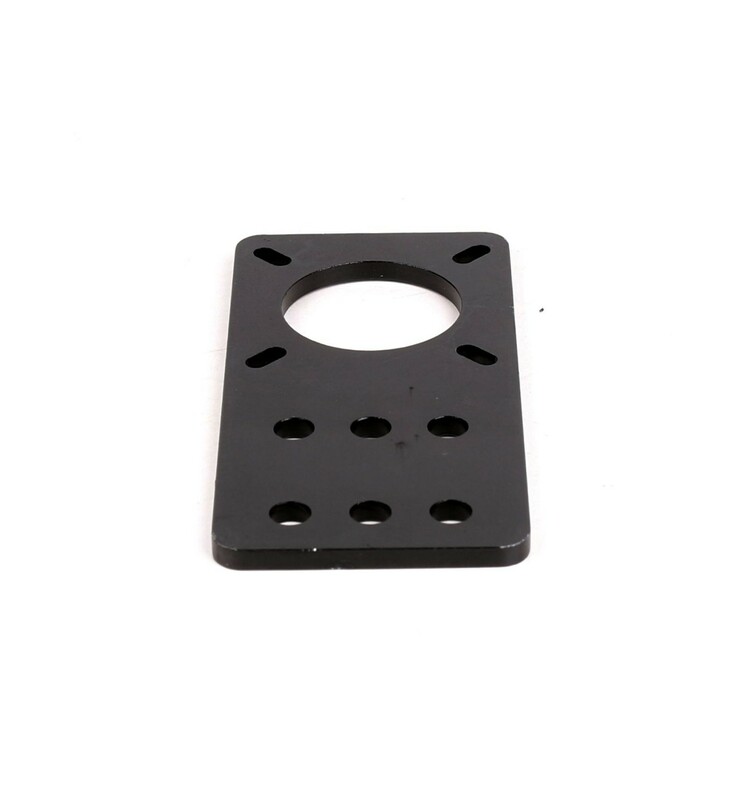 Thanks to the numerous mounting points on these plates, they can be installed in a variety of configurations as necessary, allowing you to use them for a wide range of applications including 3D Printers, CNC machines and even DIY warehouse storage. 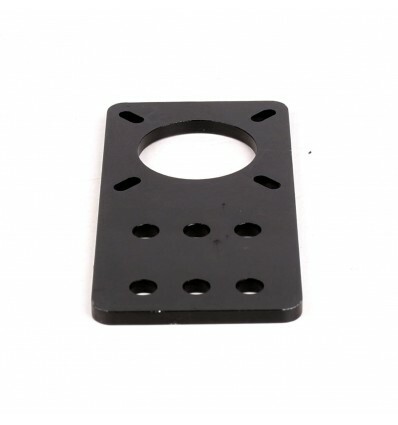 These NEMA 17 Motor Mounting Plates are most commonly used as accessories to V-slot / T-slot based projects, in which the sizing and positioning of motors needs to be precise. 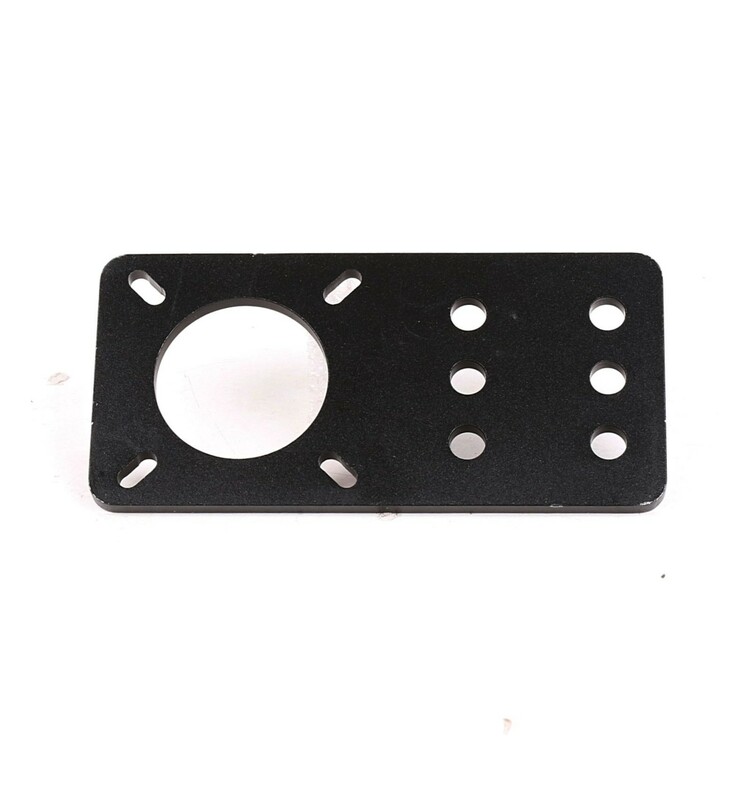 This, in addition to the lightweight and durable features of aluminium, make it an ideal solution for 3D printers, CNC machines, DIY warehousing projects, as well as a variety of other DIY applications.